The following chart lists the standard state level sales and use tax rates. Many states allow non-standard rates on many items including meals, lodging, telecommunications and specific items and services. These rates are not represented in this chart. The range of local taxes is also included as a quick reference. This can be used to determine the combined state and local tax rate maximums and minimums. However, for accurate tax calculation, the specific jurisdiction tax rate should be used. The information concerning local use tax rates can be used to determine whether the use tax also applies to local taxes. If this column contains a “YES”, then local taxes apply to both intra-state and inter-state transactions. If this column contains a “NO”, then local taxes only apply to intra-state transactions. Specific details can be seen by placing your mouse over the: More Information. 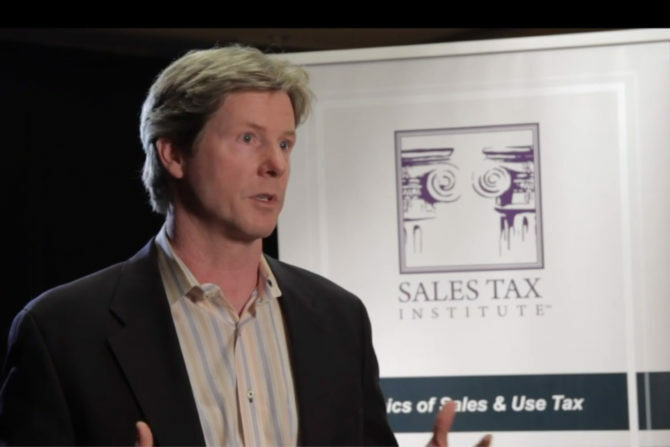 Sales and use tax rates change on a monthly basis. This chart is for informational purposes only. Specific questions should be addressed to your tax advisor. Rate information is gathered from various State Department of Revenue materials and various rate providers including Thomson, and Vertex, Inc.
Click on the individual state names below to see sales tax news and updates for that state. 0 – 7.30% A cap on the local sales/use tax applies on sales of any item of tangible personal property. Some local jurisdictions do not impose a sales tax. Yes/No Some of the cities do apply use tax. The counties do not apply a use tax. 0% – 5.50% A cap on the local sales/use tax applies on sales of any item of tangible personal property. Some local jurisdictions do not impose a sales tax. 7.250% Note that the true California state sales tax rate is 6%. There is a statewide county tax of 1.25% and therefore, the lowest rate anywhere in California is 7.25%. We have listed the combined state/county rate as the state rate to eliminate confusion. 0.000% Delaware does not have a sales tax. They do have a rental tax of 1.991%. 4.000% The state has reduced rates for sales of certain types of items. 6.250% The state has reduced rates for sales of certain types of items. 0% – 4.75% Some local jurisdictions do not impose a sales tax. 6.000% Remote sellers are required to collect sales tax if they exceed Iowa’s economic nexus threshold. No Remote sellers are required to collect sales tax if they exceed Iowa’s economic nexus threshold. 6.500% The state has reduced rates for sales of certain types of items. 0% – 5% Some local jurisdictions do not impose a sales tax. 4.450% The state has reduced rates for sales of certain types of items. 0% – 7.75% The combined local rates for a particular city range from 1.8% to 7.75%. Some local jurisdictions do not impose a sales tax. 5.500% The state has reduced rates for sales of certain types of items. 6.85% The Nevada Minimum Statewide Tax rate of 6.85% consists of several taxes combined: Two state taxes apply — 2.00% Sales Tax and the 2.6% Local School Support Tax which equal the state rate of 4.6%. Two county taxes also apply — 0.50% Basic City-County Relief Tax and 1.75% Supplemental City-County Relief Tax equals an additional city/county rate of 2.25% for a total of 6.85%. Since the two county taxes apply to every county in the state, Nevada’s minimum statewide tax rate is considered to be 6.85%. 0% – 1.415% Some local jurisdictions do not impose a sales tax. 4.750% The state has reduced rates for sales of certain types of items. 5.000% The state has reduced rates for sales of certain types of items. 0% – 3% A cap on the local sales/use tax applies on sales of any item of tangible personal property. Some local jurisdictions do not impose a sales tax. 0 – 2.25% Some local jurisdictions do not impose a sales tax. 0% – 7% Some local jurisdictions do not impose a sales tax. 11.500% The Commonwealth rate is 10.5% with a 1% local rate that applies throughout the Commonwealth. 4.500% The state has reduced rates for sales of certain types of items. Sales and deliveries to certain Indian reservations are subject to the Tribal sales, use and excise taxes in lieu of the state sales, use and excise tax. City sales tax may still apply. 0% – 8% Some local jurisdictions do not impose a sales tax. 4.850% The state has reduced rates for sales of certain types of items. 4.300% The state has reduced rates for sales of certain types of items. 0% – 1.75% Some local jurisdictions do not impose a sales tax. 0% – 4% Some local jurisdictions do not impose a sales tax. Visit our Sales Tax FAQ page for answers to your questions!